I love Summer TV. I might even like it more than normal TV. Three of my favorite shows are on right now and i'm basking in the glory of them. With all the other shows on reruns, i can focus on my favorite shows without having a Tivo conflict. Its fabulous. First, is Wipeout on ABC. Its been a long time since i've laughed that hard when watching TV. If you have never seen this show i HIGHLY recommend it. You will not be disappointed. Did anyone see the second round where they spun the contestants around and then made them crawl through the spinning door? I was crying i was laughing so hard. 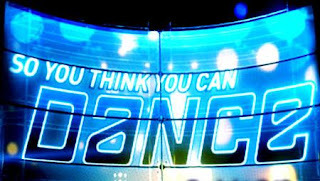 Second, is So You Think You Can Dance on Fox. For whatever reason i find this show much more interesting than american idol. I know, thats blasphemy. Maybe its because i have no idea what is good and what isn't when it comes to dancing, so i can't have an opinion, and therefore it is just pure entertainment. They just picked the top 20 and i can't wait for the routines next week. I hope Tabitha and Napoleon are choreographing. Last but certainly not least is The Bachelorette on ABC. This is my first time watching the Bachelorette and i'm hooked. I can't wait for monday to roll around so i can watch it. Guy drama is very different from girl drama. The guys get more competitive and macho about the situation and the girls (when on the bachelor) get emotional and catty. Its extremely interesting. As per usual, my friend Chelsea does awesome recaps of the show on her blog. Its a must read after watching the show, so check it out and share your thoughts! I just love summer and everything it has to offer! I love all of these shows and I totally have to agree with you that I like SYTYCD (ya, i'm cool enough to abbreviate it) better then AI (If I do it once I might as well abbreviate everything, right?). Anyway, thanks for the comment, just knowing that you "might" forget to strap your child in makes me feel much better! I love SYTYCD. I can't wait until the top 20 starts dancing together - yesterday's episode was kind of boring from an I-really-want-to-watch-good-dancing-for-an-hour standpoint. Every time Stacey watches SYTYCD she says how much she misses you and Aaron.... I totally and completely agree with you about Wipeout. I forgot just how funny that show is. I do miss The Office, however. Boo. And, shall we plan on all 10 seasons of FRIENDS while at the beach? Of course, those are my top 3 shows for the summer too!! And did you hear that Wipeout is 2 full hours next week?!?! I can barely control my excitement! 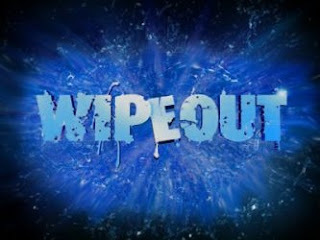 i love wipeout...kody and i would die laughing last summer when it first came on. there was also this other show on after it called this is a japanese game show or something...it was so funny but i don't think it came back for a second season. we are serious SYTYCD fans at our house. my sister is trying out for it next year. and i can't believe you've never watched the bachelorette before! love it! wes, dave and juan need to go...i love ed and jake! : ) you'll have to tell me who your favorites are!